Professional football is on strike in The Replacements, but never fear - Shane Falco and a colorful band of has-beens take the field. 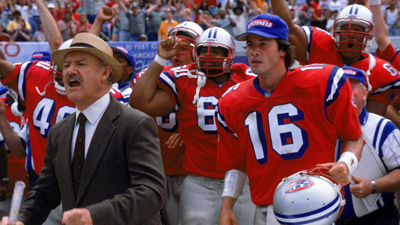 Keanu Reeves and Gene Hackman team up in this well-liked sports comedy. So never mind why the cheerleaders seem to be on strike, too - let's see how well you know The Replacements.